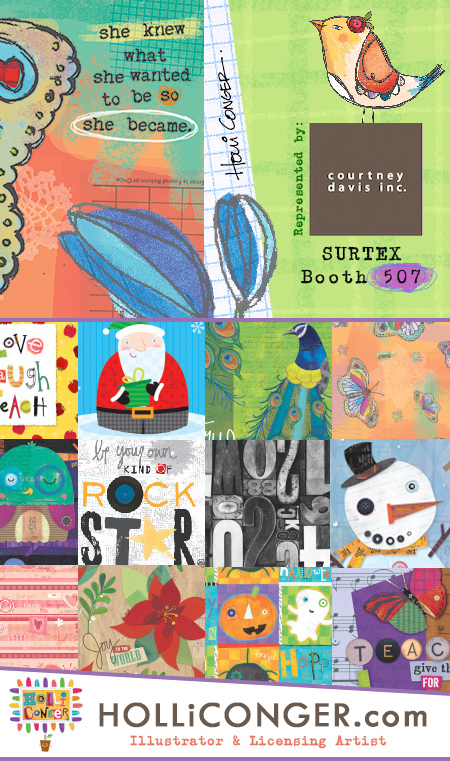 After being absent from Surtex for the last 4 years, I’ll be back this year. Well, I physically won’t but my art will be. My licensing agent, Courtney Davis, Inc will be exhibiting and showing my work along with their roster of awesome artists. Lots of new work & ideas to show so I’m super excited to hear how it went when they return.